Martin Feinberg, Culver City Realtor, was sad to learn that Jerry Maren, the last surviving Munchkin from the classic movie The Wizard of Oz, had died at the age of 99. 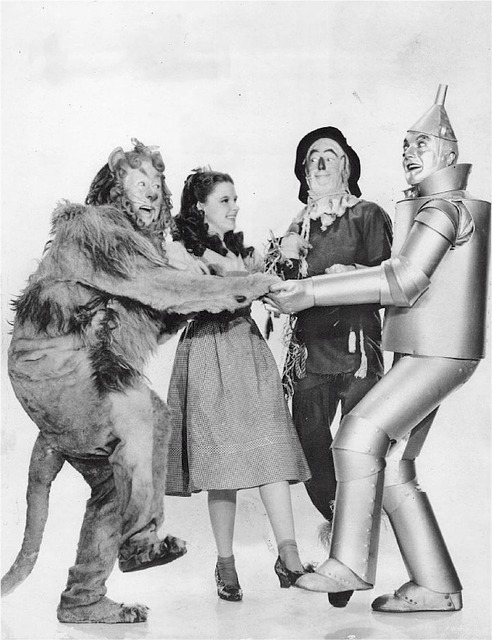 The Wizard of Oz was filmed at MGM in Culver City in 1938. Maren played the green-garbed member of the Lollipop Guild—which also included Jakob “Jackie” Gerlich and Harry Earles—in the film. Maren was the member of the Lollypop Guild who handed an oversized lollipop to Dorothy Gale (Judy Garland) and welcomed her to Munchkin Land. In the past Marin had recounted that there had been a shortage of beds during the filming of The Wizard of Oz, which forced many Munchkins to sleep sideways three to a bed. Jerry Maren was born Gerald Marenghi in Boston in 1919. He worked in the entertainment industry for more than 70 years and appeared in countless films and TV shows. He also played the role of Hamburglar and Mayor McCheese in McDonalds TV commercials in the 1970s and 1980s. Martin Feinberg, Realtor, notes that Maren died in a San Diego nursing home on May 24. The Culver City Real Estate area has had a special relationship with The Wizard of Oz, and the Munchkins who participated in the iconic film, for many years. Over the Halloween weekend in 1997, some Munchkins returned to Culver City for the reopening of the Culver Hotel. It had been their first time back to the city in 59 years. The historic hotel had been home to many of the Munchkins in 1938 when they were filming “The Wizard of Oz” at MGM Studios. The Culver Hotel was located only two blocks from MGM. Six of the original Munchkins attended the gala event. They received a warm welcome from Culver City officials as they entered the grand lobby. Beyond the Rainbow sponsored the event. The Munchkins have a collective star on the Hollywood Walk of Fame.